Call The Aerial Guys today on 0113 4182391 for a no obligation estimate and to arrange an appointment. Are you looking for aerial services Leeds? If you live in Leeds and are looking for local TV aerial fitters, then call The Aerial Guys. We are passionate about providing you with the best possible aerial services. Get in touch today on 0113 4182391. The Aerial Guys are qualified aerial engineers who are experienced in all aspects of diagnosing and rectifying TV reception problems. Watching a television which is suffering from a poor picture can be frustrating which is why our services are designed to be as accessible and as straightforward as possible. We can provide you with TV aerial installation in Leeds for homes who are currently using a small indoor aerial or who wish to upgrade their existing roof aerial. We can also provide aerial alignment in Leeds which is going to place your aerial into the best position possible for superior TV reception. 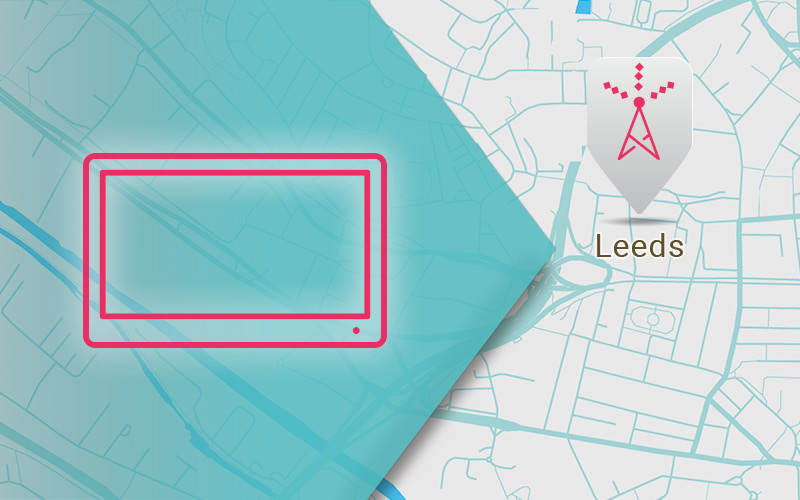 Whatever the issues you’re facing when watching television, contact us today to book your aerial engineer in Leeds. We are experienced aerial installers in Leeds who have assisted many homeowners in diagnosing their TV reception problems. When we visit your property, the first thing we’ll do is assess your requirements and evaluate your current equipment before then providing you with a quotation for us to carry out the services required. 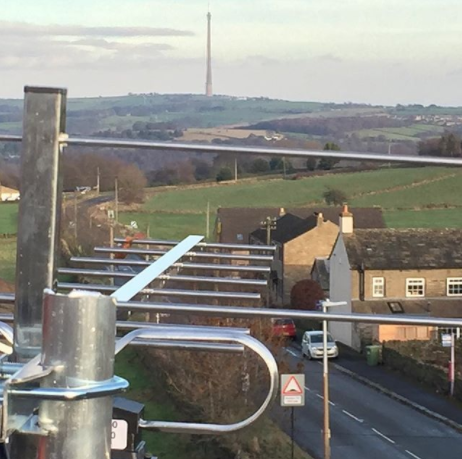 If your current aerial is not fit for purpose, we can install a variety of digital aerials in Leeds which are designed to provide you with the full suite of Freeview channels that are available in the UK. And because of the quality of the aerials we supply and our knowledge of the correct installation procedures, buying a new aerial from us will transform the picture quality of your television. The Aerial Guys carry out TV aerial repairs throughout the whole of Leeds. Our professional TV aerial engineers have been delivering the best possible service to satisfied customers for over 25 years. In that time, we have encountered an array of aerial problems. Therefore, you can count on The Aerial Guys’ experience and expertise. At The Aerial Guys, we are also experts in satellite installations and replacements. If you’re looking for a comprehensive satellite dish installation in Leeds, then our engineers can install your whole satellite TV system – from fitting your satellite dish to configuring your set-top box and all associated cabling. At The Aerial Guys, we have specialist knowledge in all the main satellite services, including Sky, Freesat and European satellite installations. If you are concerned that your satellite signal is intermittent or scrambled, or your picture is frustratingly pixelated, then put your worries aside, The Aerial Guys are fully equipped to carry out full satellite dish maintenance in Leeds and the surrounding area. Our professional engineers keep a wide range of equipment suitable for all the main satellite platforms in stock, which means that we can often fix your issue on arrival. We also supply comprehensive TV wall mounting services, so we can assist you through all steps of your TV set up. For more information on satellite dish installation in Leeds, check out our helpful and informative PDF – Satellite dish installations and replacements in Leeds. Is your satellite signal pixelated or breaking up? Don’t settle for anything less than perfection with The Aerial Guys’ satellite repair services in Leeds. If you choose our services our expert engineers can usually carry out your satellite dish repair in Leeds the very same day! 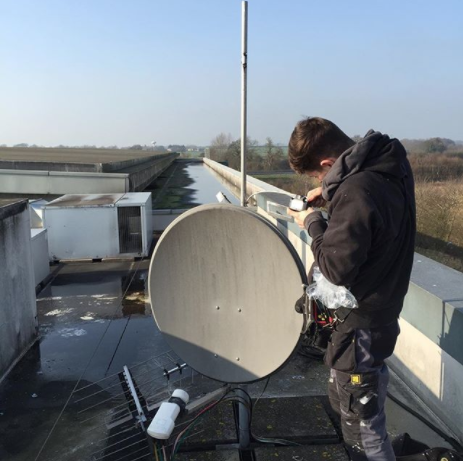 Our professional engineers are passionate about delivering efficient, courteous and tidy repairs and carry all the latest satellite equipment from all the major brands, meaning that we can provide comprehensive sky dish repairs in Leeds and the surrounding areas. Get in touch with The Aerial Guys today on 0113 4182391 for more information. At The Aerial Guys, we do not only deliver TV aerial and satellite installation services, we also provide an array of other aerial services in Leeds. So, if you are looking for aerial services Leeds or are in need of a local TV aerial installation in Leeds, make sure you speak to The Aerial Guys today on 0113 4182391. The Aerial Guys are capable of providing you with a variety of aerial services including the installation of a new satellite dish in addition to the repair of your existing aerial or satellite if it has sustained damage. Our engineers are knowledgeable and approachable and will always discuss your needs with you to provide you with the best possible solution. Start enjoying crystal clear TV reception by calling us today to book your visit by one of our skilled aerial engineers. Once we’ve assessed your current TV setup we’ll outline your options and provide you with a free, no obligation estimate for the repair work or upgrades you require. Smart TVs allow you to catch up on your favourite TV with BBC iPlayer, watch videos and TV shows on YouTube or even keep up to date on Facebook – all for free! Most Freeview HD TVs are now Smart enabled, so – in addition to up to 12 great HD channels and up to 50 standard channels – you can now have lots more entertainment at your fingertips. “It was my children that begged me to get a satellite system fitted. So, after saving up for some time, we finally got the system we’d all been dreaming about, just over a year ago. At first, everything was fine. Until one day my son just couldn’t get the set-top box to work. We tried everything but the picture just wouldn’t connect somehow. “The main company we’d bought it from were hopeless so I decided to try a local company. The Aerial Guys were round at our house the very next day and fixed the issue almost immediately. It transpired that it was something quite straightforward but, of course, we needed an expert to tell us that! “I was so impressed with The Aerial Guys that I’ve recommended them to all my friends. I really appreciated the fact that the quote was upfront too. It makes everything so much easier when you know what you’re dealing with. I’m just so relieved it’s all sorted out and the TV is actually working for once!” Hannah says.